Writer, horror enthusiast and friend Brian O'Rourke, gets us started with our Reader Top Ten Greatest Horror Films (1960 - 2000) this Saturday afternoon. "The list is in ascending order from #10. My choices for #3, #2 and #1 are a given: they haven't changed for over 30 years. They're not only my favorite horror movies ... they're my favorite movies. I've seen each of them countless times, big screen and small, and although the three have been endlessly copied or remade or re-imagined or plagiarized or sequelized to ever-diminishing returns, the originals steadfastly remain perfect cinematic gems. Very scary and very stylish. This movie is as much a part of Oct. 31 as IT'S A WONDERFUL LIFE is to Dec. 25. This movie freaked me out! In fact, just thinking about it now, 25 years later, I start squirming. My immediate answer to any question that begins "Do you really want to know ..." is a quick and firm "NO!" I saw this first at a university Halloween screening; nobody was sober and the atmosphere was ROCKY HORROR zaniness. The second time I saw THE EXORCIST, a few years later, I found it extraordinarily depressing. Then a third time, two or three years after that, the movie finally clicked: I felt Chris MacNeil's anguished desperation and determination to save her daughter. The prologue in Iraq made sense. The Kinderman scenes suddenly fit. And, yes, it took a few screenings, but I finally made the connection between the Pazuzu statue and Regan's ugly bird toy. Still, for several years some unanswered questions really bugged me (What is the deal with Karl and Willi? What the heck is going on between Karras and Dyer?). Well, I got my answers this year when I finally read the book! This is one of the few movies of the recent past that actually made me get up from my chair to turn on a light and shut the blinds. Creepy, unsettling and fresh. I saw this before the remake, Gore Verbinski's THE RING, which I found to be weak and poorly filmed. The climactic scene in the US version was ruined by crosscutting, a misguided editorial choice that robbed the movie of the original's visceral impact. Stick with RINGU. One of the most frightening and harrowing movies of all time. And most misunderstood. And underappreciated. After the "Twin Peaks" television series was cancelled in its second season, David Lynch turned the enitre mythos inside out, shocking and angering fans of the humorously off-kilter mystery show with a horrific study of sexual abuse and violent family dysfunction. FIRE WALK WITH ME was savagely rejected at the time, but 20 years later Lynch's descent into Laura Palmer's private hell stands up better than the series does. The horror movie as an art film. Beautifully filmed, with mysteries and symbolism peeking from every dark canal. Every viewing brings something new to the experience. And that soundtrack by Pino Donaggio -- gorgeous! I know the rap: Brian De Palma is a Hitchcock plagiarist. Yet while he is most definitely a Hitchcock acolyte, to dismiss him as merely that is reductive and, well, wrong. De Palma's obsessions and themes are vastly different, as are his style and film language. SISTERS, THE FURY and DRESSED TO KILL are all favorites as well, but CARRIE is the top, a perfect blend of cinematic virtuosity and high caliber acting. The prom scene is probably my favorite film scene, masterfully shot in slow motion, vibrant colors and gorgeous close ups of the actors' faces. I love this movie. I'll never forget the first time I saw Hitchcock's game changer. I was still in elementary school. I had heard whispers about "the scariest movie ever made," but all I really knew was that there was a motel and a knife. My parents made the evening a big deal: Jiffy Pop popcorn; the console television tuned to Philadelphia's Channel 17, the rabbit ear antenna perfectly adjusted for crisp reception; my father and mother on opposite ends of the couch, my brother and I between them. I was enthralled. My brother fled the room, never to return that night, the moment Marion Crane's bathroom door opened and Mrs. Bates' shadow darkened the shower curtain. My parents kept an eye on me throughout the movie, but by the time Arbogast's body hit the floor at the foot of the staircase they knew I was loving every single moment of it. 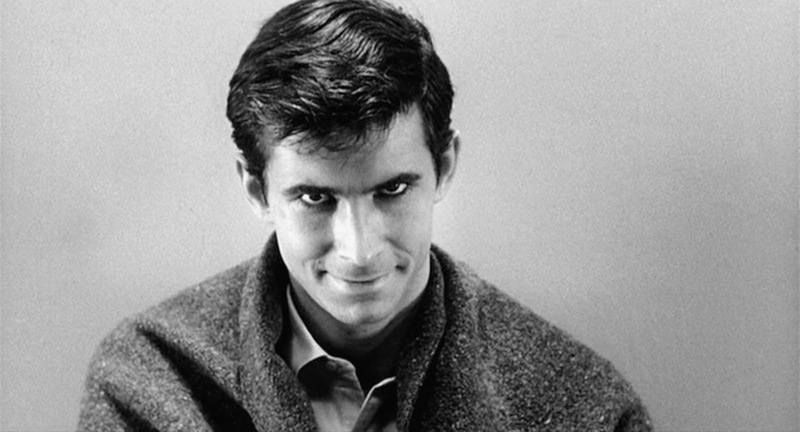 All these years later, after countless viewings, I'm still completely intoxicated by PSYCHO every time. I'm also gratified to see that Psycho landed in the top spot. That film is revolutionary in terms of structure and approach, and the modern horror film owes much to Hitchcock's enterprise.